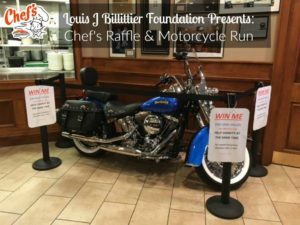 Erie County Sheriff Timothy Howard is scheduled to be the “Honorary Road Captain” helping hundreds of motorcyclists take to hometown roadways Saturday when the annual Louis J. Billittier Foundation Motorcycle Poker Run and Charity Raffle rolls out from lots near Chef’s Restaurant in downtown Buffalo, 291 Seneca St. ( at Chicago), Saturday at 10a.m. SHARP! SATURDAY JUNE 17TH – 10A.M. 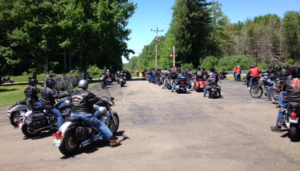 Over 15 police bikes will serve as escorts in what Billittier calls the “Great American Ride!” The route includes stops at the legendary Mickey Rats, a Western New York waterfront institution scheduled to close after this season; the Springville VFW Post; and the Made In America store in Elma in an all new route. Bikers stop at these various locations and play a game of “poker.” A Poker run was created by William Taylor (of Powerboat magazine) where participants travel over a predesignated route. At designated stops on the route, motorcyclists will draw playing cards. The object is to have the best poker hand at the end of the run. Riders return to Chef’s Restaurant later in the afternoon and turn in their cards. Billittier will host an outdoor catered ticketed party from 3- 5p.m. Prizes will be awarded for bikers with the best hand. 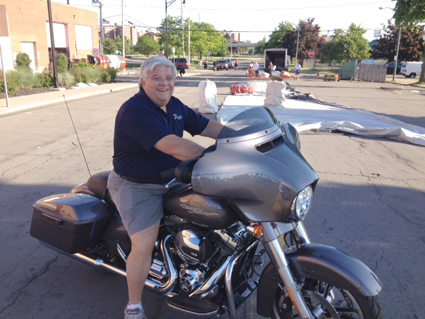 Lou Billittier, Jr. will also raffle off a Harley Davidson motorcycle (or cash value) for charity at the conclusion of the Street Party. 400 tickets were sold at $100 each. Other celebrities expected to attend include Dave “DJ” Jickster and Carl Russo from 97 Rock; and former Sabres French Connection star Rene Robert. The Louis J. Billittier Foundation was created by Lou Jr. and Mary Beth Billittier-Darling after their father passed away in 2000. Lou Billittier was considered one Western New York’s most dedicated community leaders. The Foundation continues to support hometown charities, including Buffalo Hearing and Speech, Roswell Park Cancer Institute, and the Variety Club of Buffalo. Chef’s Restaurant of Buffalo is located at 291 Seneca Street ( at the corner of Chicago ) in downtown Buffalo. For over 90 years, Chef’s has been recognized as Western New York’s most popular Italian restaurant. Since the 1950’s, generations of the Billittier Family have owned and operated Chef’s. Chef’s also offers their World Famous Sauce in jars, available in several flavors at supermarkets across WNY. Owners Mary Beth Billittier-Darling and Lou Billittier, Jr. have been recognized for their philanthropy, supporting dozens of hometown charities.